Speculation that the latest iteration in the PlayStation range of consoles is about to be unveiled is mounting following a new teaser video published by Sony. 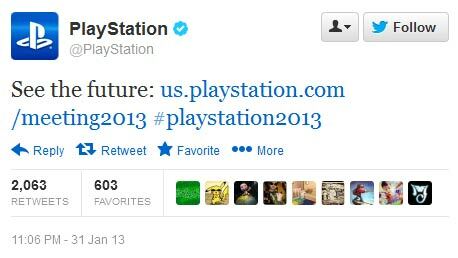 The video doesn’t reveal very much but is published upon a page on Sony’s US site alongside the time and date of 6PM EST, 20th February 2013. Some journalists have received invitations to the PlayStation Meeting 2013, which is a press briefing in New York City. Tech magazine Wired thinks that “with absolutely no details being offered on this out-of-the-ordinary press conference, it seems quite likely that Sony is about to debut PlayStation 4”. Wired also quoted Wedbush game industry analyst Michael Pachter as proclaiming “Sony is inviting investors and media to the Feb 20 event; that means console announcement,” via his Twitter account. The last time PlayStation 4 speculation was in the news here at HEXUS was when Senior Research Analyst at Baird, Colin Sebastian, wrote that he expected both the PS4 and NextBox to be revealed at their own Apple-style press events before the Game Developers Conference, San Francisco 25-29th March 2013. What is going to constitute a Sony PlayStation 4? Earlier in the week VGLeaks published an exclusive breakdown containing detailed specs of what it called the Sony “Orbis”; the CPU, the GPU, memory, storage, networking and peripherals were all specified by the site. Check out that lengthy spec speculation on VGLeaks. There have been a lot of changes to the games and entertainment industry since the PlayStation 3 launch. Is the PS4 what the world is waiting for? Is the PS4 what Sony’s mysterious video is teasing? "see the future" - this can't just be a PS3 or Vita revamp? It's either PS4 or just a new slim PS3 or Vita… or some sort of new stab at a Playstation phone. It surely cannot be ANOTHER PS3….nor a new Vita so soon.